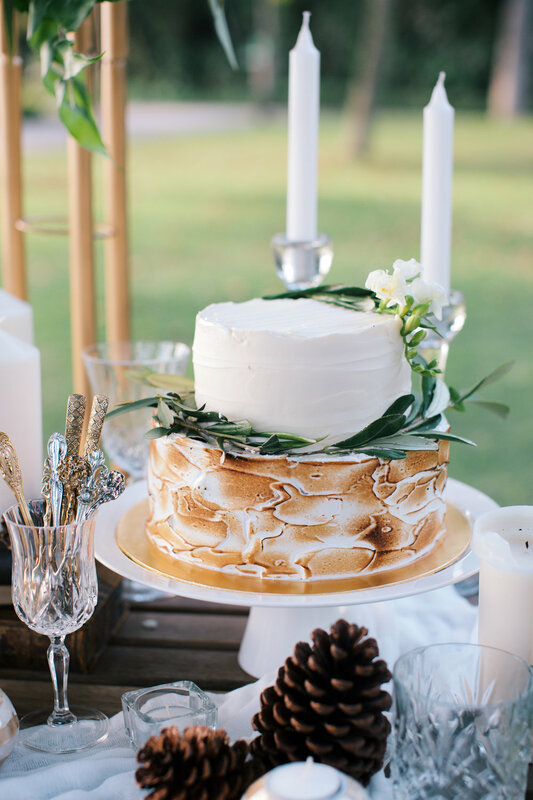 We made a two-tiered Lemon Meringue wedding cake for a styled photoshoot featuring a white and green rustic theme. Warm, brown hues of the torched meringue matched perfectly with the autumnal colours and soft lace. 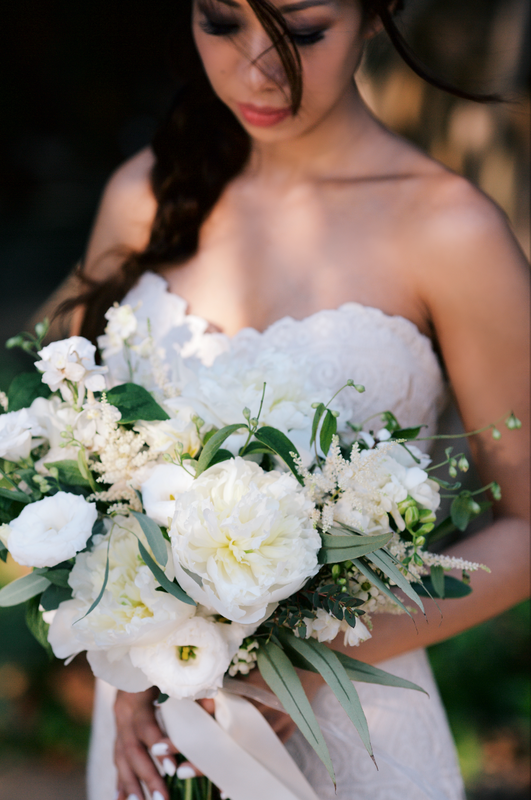 We love the romantic shadows dancing in the sunlight, and the golden glow cast by the setting sun. View more here and here.